A cheeky addition that promises heaps of character and humour, get ready to welcome Marvin to the family! Finished in neutral tones of earthy brown and black, Marvin The Monkey is crafted with amazing attention to detail and promises to stand proud when lighting up your home. 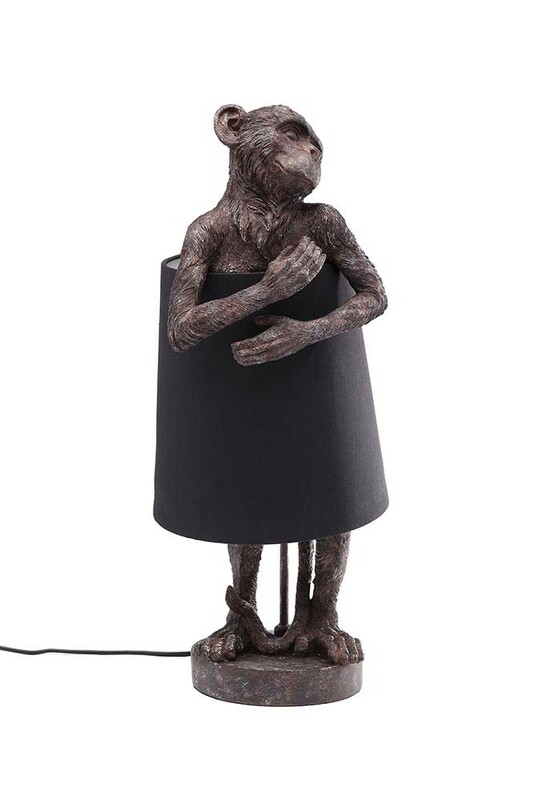 Measuring height 56cm x width 23cm x depth 23cm, the Monkey Table Lamp comes complete with a chic black lamp shade. Celebrating lighting that doesn’t take itself too seriously, we love Marvin’s cheeky expression and think you will too! 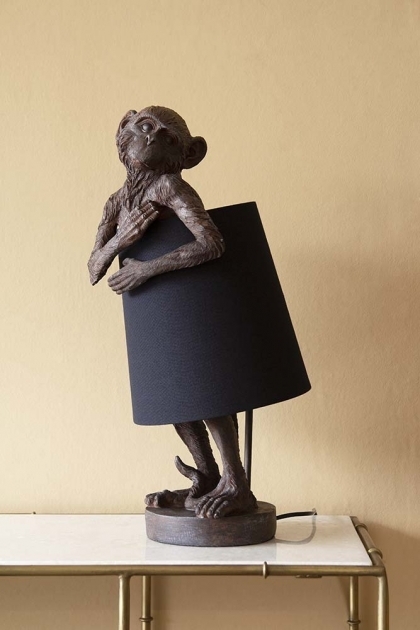 Clutching the black shade close to his chest, Marvin The Monkey Table Lamp introduces witty humour in an instant and is perfect for revealing your playful side. With neutral tones and textures, Marvin The Monkey Table Lamp is at home just about anywhere. As a quirky alternative to traditional table lights, style your Monkey Table Lamp on top of the desk to liven up a home office or display him for all to see in the living room. 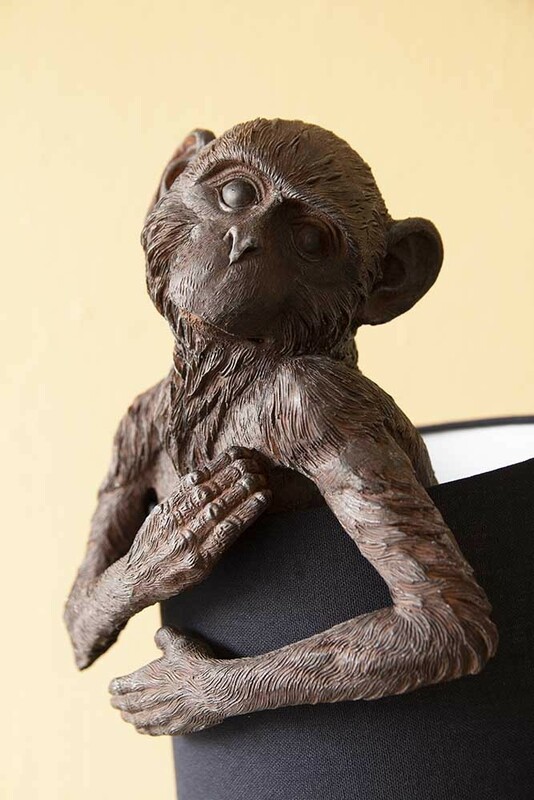 A fabulous statement piece that adds extra ambience to any space, Marvin The Monkey also looks great on a console table in the hallway to welcome you home in style. A quirky alternative to the traditional lighting, Marvin The Monkey Table Lamp introduces cheeky character to light up your home in statement style.